If you are feeling challenged by regulatory change, you are not alone. Everyone involved in information governance, at every stage of the information lifecycle, is feeling the effects – from Records Management and the Data Office through to Legal and Compliance. Heightened focus on data protection has created a collision of worlds – new intersections between data, records, privacy and security, requiring superhero experience, skill and agility to solve. 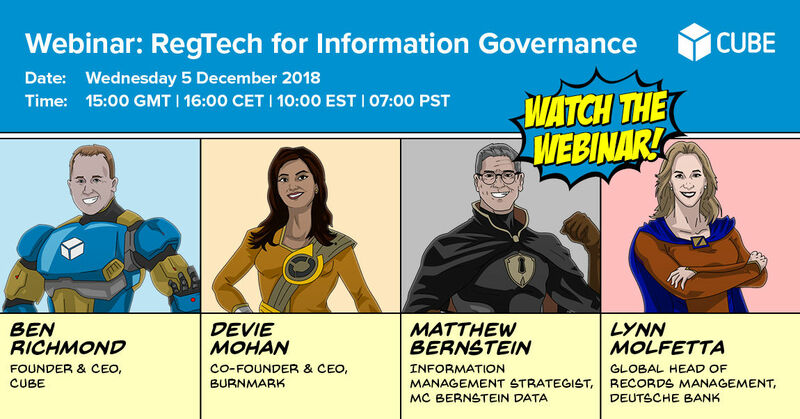 We assembled a team of superheroes for a webinar to debate how to tackle these challenges, and offer tips to help you combat compliance.